Peter is teaching Biochemistry to Medical Laboratory Scientists and to Dental Nurses. He also supervises a number of PhD and MSc students. His current research involves developing super-resolution optical methods (SIM and dSTORM) for the study of liver sinusoidal endothelial cell fenestrations, and how they change with ageing. Currently studying receptors responsible for the clearance of hyaluronan, denatured collagen and other waste connective tissue molecules from the circulation by liver sinusoidal endothelial cells (LSEC). Also studying the bone marrow counterparts of these cells (BMSEC) in transplant studies with collaborators in Melbourne, Australia. Peter is also studying the effects of ageing on LSEC, in collaboration with the ANZAC Research Institute, Sydney, Australia. 8. Development of clinical ELISAs and other immunoassays. 10. Isolation of liver sinusoidal endothelial cells (LSEC), and study of same using the above techniques. 11. Isolation of bone marrow sinusoidal endothelial cells (BMSEC), bone marrow stem cells, study of same using the above techniques, and their use in bone marrow transplantation (homing and engraftment assays). 12. Super resolution methods (e.g. SIM, dSTORM) for use in the study of LSEC fenestrations. Approved teaching portfolio (a compulsory requirement for teachers at the University of Tromsø) 19.06.12. Currently teach Biochemistry to Medical Laboratory Scientists and Dental Nurses. 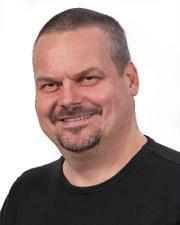 2012-present: Associate Professor, IMB, studying the effects of ageing on LSEC morphology and biochemistry. 2010-11: Guest Researcher, Niche Group, CSIRO Materials Science and Engineering, Clayton, Australia, with Associate Professor Susie Nilsson, studying bone-marrow sinusoidal endothelial cells and stem cells and their utility in bone-marrow transplants. 1999-2012: Post-Doctoral Research Fellow/Research Scientist at the Department of Cell Biology and Histology, Institute for Medical Biology, University of Tromsø with Professor Bård Smedsrød, studying receptors responsible for the clearance of hyaluronan, denatured collagen and other waste connective tissue molecules from the circulation by LSEC. 1992-1999: Ph.D. Student, Department of Medical Biochemistry and Microbiology, University of Uppsala, Sweden under the supervision of Professors Torvard Laurent and Staffan Johansson, working on the purification, characterisation and cloning of hyaluronan/scavenger receptors on liver scavenger endothelial cells. 1990-1992: Guest Researcher, Department of Medical and Physiological Chemistry, University of Uppsala, Sweden under the supervision of Professor Torvard Laurent, studying hyaluronan-binding properties of the monocytic cell lines U937 and J774. 1987-1990: Research Assistant, Lysosomal Diseases Research Unit, Adelaide Children's Hospital, Adelaide, Australia with Professor John Hopwood, working on the purification of lysosomal enzymes, production of hybridoma cell lines/monoclonal antibodies, and development of ELISAs for clinical assessment of lysosomal enzyme deficiencies. University of Tromsø Researcher Fellowship, HelseNord, various small foundations, Norwegian Research Council Post-doctoral Fellowship, Tromsø Research Foundation, EU:Horizon 2020 MSCA. Hunt, Nicholas J; Lockwood, Glen P; Warren, Alessandra; Mao, Hong; McCourt, Peter Anthony; Le Couteur, David George; Cogger, Victoria Carroll. Manipulating fenestrations in young and old liver sinusoidal endothelial cells. American Journal of Physiology - Gastrointestinal and Liver Physiology 2018. ISSN 0193-1857.s doi: 10.1152/ajpgi.00179.2018. Hunt, Nicholas J; McCourt, Peter Anthony; Le Couteur, David George; Cogger, Victoria C. Novel targets for delaying aging: The importance of the liver and advances in drug delivery. Advanced Drug Delivery Reviews 2018. ISSN 0169-409X.s doi: 10.1016/j.addr.2018.09.006. McCourt, Peter Anthony; Oteiza, Ana; Cao, Ben; Nilsson, Susie. Isolation of murine bone marrow scavenging sinusoidal endothelial cells.. Methods in Molecular Biology 2015; Volum 1235. ISSN 1064-3745.s 59 - 71.s doi: 10.1007/978-1-4939-1785-3_6. Ahluwalia, Balpreet Singh; McCourt, Peter Anthony; Oteiza, Ana; Wilkinson, James S.; Huser, Thomas Rolf; Hellesø, Olav Gaute. Squeezing red blood cells on an optical waveguide to monitor cell deformability during blood storage. The Analyst 2015; Volum 140 (1). ISSN 0003-2654.s 223 - 229.s doi: 10.1039/c4an01181c. Ahluwalia, Balpreet Singh; McCourt, Peter Anthony; Wilkinson, James S.; Huser, Thomas; Hellesø, Olav Gaute. Optical deformation of red blood cells trapped on a narrow waveguide. SPIE - International Society for Optical Engineering 2014 ISBN 9781628411911.s doi: 10.1117/12.2062590. Ahluwalia, Balpreet Singh; McCourt, Peter Anthony; Oteiza, Ana; Wilkinson, James S.; Huser, Thomas Rolf; Hellesø, Olav Gaute. Squeezing red blood cells with the evanescent field of an optical waveguide to monitor cell deformability during blood storage. The Analyst 2014; Volum 140. ISSN 0003-2654.s 223 - 229.s doi: 10.1039/C4AN01181C. Simon-Santamaria, Jaione; Rinaldo, Christine Hanssen; Kardas, Piotr; Li, Ruomei; Malovic, Ivana; Elvevold, kjetil helge; McCourt, Peter Anthony; Smedsrød, Bård; Hirsch, Hans H.; Sørensen, Karen Kristine. Efficient uptake of blood-borne BK and JC polyomavirus-like particles in endothelial cells of liver sinusoids and renal vasa recta. PLoS ONE 2014; Volum 9 (11). ISSN 1932-6203.s doi: 10.1371/journal.pone.0111762. Mönkemöller, Viola; Schuttpelz, Mark; McCourt, Peter Anthony; Sørensen, Karen Kristine; Smedsrød, Bård; Huser, Thomas Rolf. Imaging fenestrations in liver sinusoidal endothelial cells by optical localization microscopy. Physical Chemistry, Chemical Physics - PCCP 2014; Volum 16 (24). ISSN 1463-9076.s 12576 - 12581.s doi: 10.1039/c4cp01574f. Svistounov, Dmitri; Oteiza, Ana; Zykova, Svetlana; Sørensen, Karen Kristine; McCourt, Peter Anthony; McLachlan, Andrew J; Mccuskey, Robert Scott; Smedsrød, Bård. Hepatic disposal of advanced glycation end products during maturation and aging. Experimental Gerontology 2013; Volum 48 (6). ISSN 0531-5565.s 549 - 556.s doi: 10.1016/j.exger.2013.03.005. Sørensen, Karen Kristine; McCourt, Peter Anthony; Berg, Trond; Crossley, Clive; LeCouteur, David; Wake, Kenjiro; Smedsrød, Bård. The scavenger endothelial cell - a new player in homeostasis and immunity. American Journal of Physiology. Regulatory Integrative and Comparative Physiology 2012; Volum 303 (12). ISSN 0363-6119.s R1217 - R1230.s doi: 10.1152/ajpregu.00686.2011. Li, Ruomei; Oteiza, Ana; Sørensen, Karen; Mccourt, Peter Anthony; Olsen, Randi; Smedsrød, Bård; Svistounov, Dmitri. Role of liver sinusoidal endothelial cells and stabilins in elimination of oxidized low-density lipoproteins. American Journal of Physiology - Gastrointestinal and Liver Physiology 2011; Volum 300 (1). ISSN 0193-1857.s G71 - G81.s doi: 10.1152/ajpgi.00215.2010. Løvhaugen, Pål; Ahluwalia, Balpreet Singh; Huser, Thomas Rolf; Mccourt, Peter Anthony; Hellesø, Olav Gaute. Optical trapping forces on biological cells on a waveguide surface. Proceedings of SPIE, the International Society for Optical Engineering 2011; Volum 7902. ISSN 0277-786X.s doi: 10.1117/12.873779. Ahluwalia, Balpreet Singh; Mccourt, Peter Anthony; Huser, Thomas Rolf; Hellesø, Olav Gaute. Optical trapping and propulsion of red blood cells on waveguide surfaces. Optics Express 2010; Volum 18 (20). ISSN 1094-4087.s 21053 - 21061. Cogger, V.C. ; McNerney, Gregory P; Nyunt, Tun; DeLeve, Laurie D; Mccourt, Peter Anthony; Smedsrød, Bård; Le Couteur, D.G. ; Huser, Thomas Rolf. Three-dimensional structured illumination microscopy of liver sinusoidal endothelial cell fenestrations. Journal of Structural Biology 2010; Volum 171 (3). ISSN 1047-8477.s 382 - 388.s doi: 10.1016/j.jsb.2010.06.001. Simon, Jaione; Malovic, Ivana; Warren, Alessandra; Oteiza, Ana; LeCouteur, David; Smedsrød, Bård; Mccourt, Peter Anthony; Sørensen, Karen Kristine. Age-Related Changes in Scavenger Receptor-Mediated Endocytosis in Rat Liver Sinusoidal Endothelial Cells. The journals of gerontology. Series A, Biological sciences and medical sciences 2010; Volum 65 (9). ISSN 1079-5006.s 951 - 960.s doi: 10.1093/gerona/glq108. Qian, Hong; Johansson, Sophie; Mccourt, Peter Anthony; Smedsrød, Bård; Ekblom, Marja; Johansson, Staffan. Stabilins are expressed in bone marrow sinusoidal endothelial cells and mediate scavenging and cell adhesive functions. Biochemical and Biophysical Research Communications - BBRC 2009; Volum 390. ISSN 0006-291X.s 883 - 886.s doi: 10.1016/j.bbrc.2009.10.068. Li, Ruomei; Mccourt, Peter Anthony; Schledzewski, Kai; Goerdt, Sergij; Moldenhauer, Gerhard; Liu, xipu; Smedsrød, Bård; Sørensen, Karen. Endocytosis of Advanced Glycation End-Products in Bovine Choriocapillaris Endothelial Cells. Microcirculation 2009; Volum 16 (7). ISSN 1073-9688.s 640 - 655.s doi: 10.1080/10739680903133185. Elvevold, kjetil helge; Simon, Jaione; Hasvold, hege; Mccourt, Peter Anthony; Smedsrød, Bård; Sørensen, Karen. Liver Sinusoidal Endothelial Cells Depend on Mannose Receptor-Mediated Recruitment of Lysosomal Enzymes for Normal Degradation Capacity. Hepatology 2008; Volum 48 (6). ISSN 0270-9139.s 2007 - 2015.s doi: 10.1002/hep.22527. Malovic, Ivana; Sørensen, Karen; Elvevold, kjetil helge; Nedredal, Geir Ivar; Paulsen, steinar; Erofeev, Alexander V.; Smedsrød, Bård; Mccourt, Peter Anthony. The mannose receptor on murine liver sinusoidal endothelial cells is the main denatured collagen clearance receptor. Hepatology 2007; Volum 45. ISSN 0270-9139.s 1454 - 1461.s doi: 10.1002/hep.21639. Yoshida, M; Nishikawa, Y; Omori, Y; Yoshioka, T; Tokairin, T; Mccourt, Peter Anthony; Enomoto, K. Involvement of signaling of VEGF and TGF-beta in differentiation of sinusoidal endothelial cells during culture of fetal rat liver cells. Cell and Tissue Research 2007; Volum 329. ISSN 0302-766X.s doi: 10.1007/s00441-007-0387-5. McCourt, Peter Anthony; Hansen, B; Svistounov, Dmitri; Johansson, S.; Longati, P.; Schledzewski, K; Kzhyshkowska, J.; Goerdt, S; Johansson, Sophie; Smedsrød, Bård. The liver sinusoidal endothelial cell hyaluronan receptor and its homolog, stabilin-1 - their roles (known and unknown) in endocytosis. 2005 ISBN 0-9771359-0-X.s 611 - 614. Hansen, B; Longati, P.; Elvevold, Kjetil Helge; Nedredal, Geir Ivar; Schledzewski, K.; Olsen, Randi; Falkowski, Martin; Kzhyshkowska, J.; Carlsson, F.; Johansson, S.; Smedsrød, Bård; Goerdt, S.; Johansson, S; Mccourt, Peter Anthony. Stabilin-1 and stabilin-2 are both directed into the early endocytic pathway in hepatic sinusoidal endothelium via interactions with clathrin/AP-2, independent of ligand binding. Experimental Cell Research 2005; Volum 303(1). ISSN 0014-4827.s 160 - 173. Svistounov, Dmitri; Berg, Tore J.; McCourt, Peter Anthony; Zykova, Svetlana; Elvevold, Kjetil Helge; Nagai, Ryoji; Horiuchi, Seikoh; Smedsrød, Bård. Lack of recognition of N-epsilon-(carboxymethyl)lysine by the mouse liver reticulo-endothelial system: implications for pathophysiology. Biochemical and Biophysical Research Communications - BBRC 2003; Volum 309. ISSN 0006-291X.s 786 - 791. Politz, Oliver; Gratchev, Alexei; McCourt, Peter Anthony; Schledzewski, Kai; Guillot, Pierre; Johansson, Sophie; Svineng, Gunbjørg; Franke, Paul; Kannicht, Catherine; Welten, Florian; Johansson, Staffan; Goerdt, Sergej. Stabilin-1 and -2 constitute a novel family of fasciclin-like hyaluronan receptor homologues. Biochemical Journal 2002; Volum 362. ISSN 0264-6021.s 155 - 164. McCourt, Peter Anthony; Smedsrød, Bård; Melkko, Jukka; Johansson, Staffan. Characterisation of an hyaluronan receptor on rat liver endothelial cells and its functional relationship to scavenger receptors. Hepatology 1999; Volum 30. ISSN 0270-9139.s 1276 - 1286. McCourt, Peter Anthony. How does the hyaluronan scrap-yard operate?. Matrix Biology 1999; Volum 18. ISSN 0945-053X.s 427 - 432. McCourt, Peter Anthony; Gustafson, Stefan. On the adsorption of hyaluronan and ICAM-1 to modified hydrophobic resins. International Journal of Biochemistry and Cell Biology 1997; Volum 29. ISSN 1357-2725.s 1179 - 1189. Fuxe, Kjell; Agnati, Luigi; Tinner, Barbro; Forsberg, Nina; McCourt, Peter Anthony; Gustafson, Stefan. Evidence for receptors for hyaluronan in discrete nerve cell populations of the brain. Brain Research 1996; Volum 736. ISSN 0006-8993.s 329 - 337. McCourt, Peter Anthony; Ek, Bo; Forsberg, Nina; Gustafson, Stefan. Intercellular adhesion molecule-1 is a cell surface receptor for hyaluronan. Journal of Biological Chemistry 1994; Volum 269. ISSN 0021-9258.s 30081 - 30084. Gustafson, Stefan; Forsberg, Nina; McCourt, Peter Anthony; Wikström, Tarja; Björkman, Thomas; Lilja, Kajsa. First International Workshop on hyaluronan in drug delivery: Characterization and localization of the hyaluronan receptor originally found on liver endothelial cells. Royal Society of Medicine. Round Table Series 1994; Volum 33. ISSN 0268-3091.s 43 - 59. Brooks, Doug; Harper, Greg; Gibson, Gary; Ashton, Lesley; Taylor, Jacquie; McCourt, Peter Anthony; Freeman, Craig; Clements, Peter; Hoffmann, John; Hopwood, John. Hurler syndrome: a patient with abnormally high levels of a-L-iduronidase protein. Biochemical Medicine and Metabolic Biology 1992; Volum 47. ISSN 0885-4505.s 211 - 220. Ashton, Lesley; Brooks, Doug; McCourt, Peter Anthony; Müller, Viviane; Clements, Peter; Hopwood, John. Immunoquantification and enzyme kinetics of a-L-iduronidase: in cultured fibroblasts from mucopolysaccharidosis type I patients. American Journal of Human Genetics 1992; Volum 50. ISSN 0002-9297.s 787 - 794. Brooks, Doug; McCourt, Peter Anthony; Gibson, Gary; Ashton, Lesley; Shutter, Merron; Hopwood, John. Analysis of N-acetylglucosamine-4-sulfatase protein and kinetics in mucopolysaccharidosis type VI patients. American Journal of Human Genetics 1991; Volum 48. ISSN 0002-9297.s 710 - 719. Brooks, Doug; Gibson, Gary; McCourt, Peter Anthony; Hopwood, John. A specific fluorogenic assay for N-acetylglucosamine 4-sulphatase activity using immunoadsorption. Journal of Inherited Metabolic Disease 1991; Volum 14. ISSN 0141-8955.s 5 - 12. Brooks, Doug; McCourt, Peter Anthony; Gibson, Gary; Hopwood, John. Immunoquantification of the low abundance lysosomal enzyme N-acetylgalactosamine 4-sulphatase. Journal of Inherited Metabolic Disease 1990; Volum 13. ISSN 0141-8955.s 108 - 120. Clements, Peter; Brooks, Doug; McCourt, Peter Anthony; Hopwood, John. Immunopurification and characterisation of human a-L-iduronidase with the use of monoclonal antibodies. Biochemical Journal 1987; Volum 259. ISSN 0264-6021.s 199 - 208. Løvhaugen, Pål; Ahluwalia, Balpreet Singh; Huser, Thomas Rolf; McCourt, Peter Anthony; Hellesø, Olav Gaute. Optical trapping forces on biological cells on a waveguide surface. (sammendrag) SPIE - International Society for Optical Engineering 2011 ISBN 9780819484390. Bhandari, Sabin; Li, Ruomei; Simon-Santamaria, Jaione; McCourt, Peter Anthony; Johansen, Steinar Daae; Smedsrød, Bård; Martinez, Inigo Zubiavrre; Sørensen, Karen Kristine. The liver sinusoidal endothelial cell – an endothelial cell with a macrophage-like identity. 19th International Symposium of cells of the Hepatic Sinusoid, Galway, Ireland, June 14th-June 17th 2017-06-14 - 2017-06-17 2017. McCourt, Peter Anthony; Mao, Hong; Huser, Thomas Rolf; Ahluwalia, Balpreet Singh; Le Couteur, David George; Cogger, Victoria Carroll. New ways to look at very small holes: using super-resolution optical microscopy to reveal the secrets of holey liver cells. Australian Biology of Ageing Conference 2017-04-27 - 2017-04-28 2017. Bhandari, Sabin; Li, Ruomei; Simon-Santamaria, Jaione; McCourt, Peter Anthony; Johansen, Steinar Daae; Smedsrød, Bård; Martinez, Inigo Zubiavrre; Sørensen, Karen Kristine. Next generation deep sequencing of rat liver sinusoidal endothelial cell and Kupffer cell transcriptomes suggests functional complementarity. The 52nd Norwegian Biochemical Society (NBS) Contact Meeting 2016-01-21 - 2016-01-23 2016. McCourt, Peter Anthony; Oteiza, Ana; Storan, Melonie J.; Williams, Brenda; Heazlewood, Chad K.; Sørensen, Karen Kristine; Nefzger, Christian; Kubota, Y.; Polo, Jose; Nilsson, Susie. Identification of adult hemogenic sinusoidal endothelial cells in adult bone marrow.. The 52nd Norwegian Biochemical Society (NBS) Contact Meeting; 2016-01-21 - 2016-01-23 2016-01-21 - 2016-01-23 2016. McCourt, Peter Anthony; Huser, Thomas Rolf; Ahluwalia, Balpreet Singh. Using Super-Resolution Optical Microscopy to Reveal the Secrets of Holey Liver Cells. 8th International Conference on Materials for Advanced Technologies 2015-06-28 - 2015-07-03 2015. Simon-Santamaria, Jaione; Rinaldo, Christine H; Kardas, Piotr; Li, Ruomei; Malovic, Ivana; Elvevold, Kjetil H.; McCourt, Peter Anthony; Smedsrød, Bård; Hirsch, Hans H.; Sørensen, Karen Kristine. Role of scavenger endothelial cells in polyomavirus JC and BK clearance. Keystone Symposia on Molecular and Cellular Biology - J6: Innate Immunity to Viral Infections 2014-01-19 - 2014-01-24 2014. McCourt, Peter Anthony; Oteiza, Ana; Storan, Melonie; Williams, Brenda; Heazlewood, Chad; Sørensen, Karen Kristine; Li, S; Nefzger, Christian; Kubota, Y; Polo, Jose; Nilsson, Susie. Bone marrow endothelium: A hierarchically organized system.. Australasian Stem Cell Science and Therapy meeting 2014-11-09 - 2014-11-11 2014. McCourt, Peter Anthony; Oteiza, Ana; Storan, Melonie; Williams, Brenda; Heazlewood, Chad; Sørensen, Karen Kristine; Nilsson, Susie. BM endothelial stem cells are hierarchically organized and transplantable, giving rise to functional blood vessels as well as HSC; themselves representing the adult hemangioblast, capable of hemopoietic and endothelial reconstitution. Keystone Symposia: Hematopoiesis (A4) 2013-01-14 - 2013-01-19 2013. Shen, Yi; Williams, Brenda; Heazlewood, Chad; Reitsmaa, Andrea; Cardozo, Daniella; Neaves, Rebecca; Haylock, David; McCourt, Peter Anthony; Nilsson, Susie. The role of megakaryocytes in hemopoietic stem cell regulation. Keystone Symposia: Hematopoiesis (A4) 2013-01-14 - 2013-01-19 2013. McCourt, Peter Anthony; Oteiza, Ana; Storan, Melonie; Williams, Brenda; Reitsmaa, Andrea; Heazlewood, Chad; Cardozo, Daniella; Nilsson, Susie. Prospectively isolated scavenging bone-marrow sinusoidal endothelial cells home to and revascularize the the bone marrow of transplanted ablated recipients. International Society for Cellular Therapy, 18th Annual Meeting (ISCT2012) 2012-06-05 - 2012-06-08 2012. Shen, Yi; Williams, Brenda; Heazlewood, Chad; Reitsmaa, Andrea; Cardozo, Daniella; Neaves, Rebecca; Haylock, David; McCourt, Peter Anthony; Nilsson, Susie. The role of prospectively isolated megakaryocytes in murine haemopoietic stem cell regulation. The Australian Health and Medical Research Congress 2012-11-25 - 2012-11-28 2012. Simon-Santamaria, Jaione; Li, Ruomei; Kardas, Piotr; Malovic, Ivana; Elvevold, Kjetil H.; McCourt, Peter Anthony; Smedsrød, Bård; Hirsch, Hans; Rinaldo, Christine H; Sørensen, Karen Kristine. Role of liver sinusoidal endothelial cells in blood clearance of polyomavirus BK and JC. 4th PhD Conference in Medical Imaging 2012-11-28 - 2012-11-29 2012. McCourt, Peter Anthony; Storan, Melonie; Williams, Brenda; Nilsson, Susie. Prospectively isolated scavenging bone-marrow sinusoidal endothelial cells home to and revascularise the bone marrow of transplanted ablated recipients. Australian Stem Cell Centre 2011 Scientific Conference 2011-05-27 - 2011-05-29 2011. Nilsson, S K; Storan, M; Williams, B.; Reitsma, A; Heazlewood, C K; Cardozo, D; McCourt, Peter Anthony. PROSPECTIVELY ISOLATED SCAVENGING BONE-MARROW SINUSOIDAL ENDOTHELIAL CELLS HOME TO AND REVASCULARIZE THE BONE MARROW OF TRANSPLANTED ABLATED RECIPIENTS. Experimental Hematology 2011; Volum 39 (8). ISSN 0301-472X.s S25 - S26. Shen, Y; Neaves, R J; Williams, B.; Heazlewood, C K; Reitsma, A J; Haylock, D N; McCourt, Peter Anthony; Nilsson, S K. THE ROLE OF FRESHLY ISOLATED MEGAKARYOCYTES IN HAEMATOPOIETIC STEM CELL REGULATION. Experimental Hematology 2011; Volum 39 (8). ISSN 0301-472X.s S14 - S15. Simon-Santamaria, Jaione; Malovic, Ivana; Warren, Alessandra; Oteiza, Ana; LeCouteur, David; Smedsrød, Bård; McCourt, Peter; Sørensen, Karen Kristine. Endocytic activity of liver sinusoidal endothelial cells in aging. The 15th International Symposium on Cells of the Hepatic Sinusoid 2010-08-29 - 2010-09-01 2010. Malovic, Ivana; Johansson, Staffan; Melkko, Jukka; Mayer, Ulrike; Smedsrød, Bård; McCourt, Peter Anthony. Nidogen is a physiological ligand for the scavenger receptors in liver endothelial cells. The 15th International Symposium on Cells of the Hepatic Sinusoid 2010-08-29 - 2010-09-01 2010. Li, Ruomei; Oteiza, Ana; Sørensen, Karen; McCourt, Peter Anthony; Olsen, Randi; Smedsrød, Bård; Svistounov, Dmitri. Role of liver sinusoidal endothelial cells and stabilins in elimination of oxidized low-density lipoproteins. The 15th International Symposium on Cells of the Hepatic Sinusoid 2010-08-29 - 2010-09-01 2010. Smedsrød, Bård; McCourt, Peter Anthony; Sørensen, Karen. Scavenger endothelial cells in the vertebrate kingdom. The 15th International Symposium on Cells of the Hepatic Sinusoid 2010-08-29 - 2010-09-01 2010. Simon, Jaione; Malovic, Ivana; Warren, A; Oteiza, Ana; Le Couteur, D; Smedsrød, Bård; McCourt, Peter Anthony; Sørensen, Karen. Age-related changes in scavenger receptor mediated endocytosis in rat liver sinusoidal endothelial cells. Abstract book p.22. The 14th International Symposium on Cells of the Hepatic Sinousoid 2008-09-01 - 2008-09-04 2008. McCourt, Peter Anthony. Liver sinusoidal endothelial cells - mega-endocytes. 14th International Symposium on Cells of the Hepatic Sinusoid 2008-08-31 - 2008-09-04 2008. Li, Ruomei; McCourt, Peter Anthony; Schledzewski, K.; Goerdt, S.; Moldenhauer, G; Liu, xipu; Smedsrød, Bård; Sørensen, Karen. Endocytosis of advanced glycation end products in bovine choriocapillaris endothelial cells. Acta Ophthalmologica 2008; Volum 86. ISSN 1755-375X.s 30 - 30. Oteiza, Ana; Sørensen, Karen; McCourt, Peter Anthony; Smedsrød, Bård; Svistounov, Dmitri. Stabilin-1 and -2 recognize and mediate endocytosis of oxidized LDL. Abstract book, p. 64. The 14th International Symposium on Cells of the Hepatic Sinousoid 2008-09-01 - 2008-09-04 2008. McCourt, Peter Anthony; Svistounov, Dmitri; Sørensen, Karen; Smedsrød, Bård. Advanced glycation end product removal by mouse liver declines after onset of puberty and regresses with ageing. Lorne Protein Conference 2007 2007-02-04 - 2007-02-08 2007. Li, Ruomei; Liu, xipu; McCourt, Peter Anthony; Smedsrød, Bård; Sørensen, Karen. Endocytosis of advanced glycation end products in bovine retinal pigment epithelial cells. ARVO (Association for Research in Vision and Ophthalmology) 2007-05-01 - 2007-05-05 2007. Øie, Cristina Ionica; McCourt, Peter Anthony; Smedsrød, Bård; Hansen, John-Bjarne. ROLE OF LIVER SINUSOIDAL ENDOTHELIAL CELLS IN ELIMINATION OF HEPARIN. 13th International Symposium on Cells of the Hepatic Sinusoids 2006-09-03 - 2006-09-06 2006. Li, Ruomei; McCourt, Peter; Schledzewski, Kai; Goerdt, Sergeij; Liu, Xipu; Smedsrød, Bård; Sørensen, Karen. Expression of stabilins in choriocapillaris endothelial cells. ARVO Annual Meeting 2006-04-30 - 2006-05-04 2006. Sørensen, Karen; Malovic, I; Elvevold, kjetil helge; Nedredal, GI; Paulsen, S; Erofeev, AN; Smedsrød, Bård; McCourt, Peter Anthony. The mannose receptor on liver sinusoidal endothelial cells is the main collagen alpha-chain clearance receptor. The 13th International Symposium on Cells of the Hepatic Sinousoid 2006-09-03 - 2006-09-06 2006. Svistounov, Dmitri; Sørensen, Karen; McCourt, Peter Anthony; Smedsrød, Bård. Efficiency of removal of advanced glycation end products in the mouse liver reticulo-endothelial system declines after onset of puberty and progress with age. Third Kristineberg symposium on ³Aging² 2006-06-14 - 2006-06-17 2006. McCourt, Peter Anthony. "Stabilin-1 and stabilin-2 are both directed into the early endocytic pathway in hepatic sinusoidal endothelium via interactions with clathrin/AP-2 independent of ligand binding". Norsk Biokjemisk Selskap, 41. Kontaktmøte 2005-01-13 - 2005-01-16 2005. McCourt, Peter Anthony. "Scavenging by LSEC" (oral presentation). Liver sinusoidal endothelial cell (LSEC) international symposium 2005-09-18 - 2005-09-18 2005. Sørensen, Karen; Liu, Ruomei; McCourt, Peter Anthony; Smedsrød, Bård; Liu, X. Endocytosis of Advanced Glycation End Products in Bovine Choriocapillary Endothelial Cells, Abstract No 3352-B905, p.144. ARVO(Association for Research in Vision and Ophthalmology) 2005-05-01 - 2005-05-05 2005. Hansen, Berit; Longati, Paola; Elvevold, Kjetil H.; Nedredal, Geir Ivar; Schledzewski, Kai; Olsen, Randi; Falkowski, Martin; Carlsson, Fredrik; Johansson, Sophie; Smedsrød, Bård; Goerdt, Sergij; McCourt, Peter Anthony. Stabilin-1 and stabilin-2 are both directed into the early endocytic pathway in hepatic sinusoidal endothelium via interactions with clathrin/AP-2 independent of ligand binding. The 12th International Symposium on the Cells of the Hepatic Sinusoid 2004-09-05 - 2004-09-09 2004. McCourt, Peter Anthony; Hansen, Berit; Svistuonov, Dmitri; Johansson, Staffan; Longati, Paola; Schledzewski, Kai; Goerdt, Sergij; Johansson, Sophie; Smedsrød, Bård. The liver sinusoidal endothelial cell hyaluronan receptor and its homolog, stabilin-1 - their roles (known and unknown) in endocytosis. Comparative Hepatology 2004; Volum 3. ISSN 1476-5926. Svistuonov, Dmitri; Sørensen, Karen Kristine; McCourt, Peter Anthony; Smedsrød, Bård. Efficiency of degradation of advance glycation end products in the mouse liver reticulo-endothelial system declines after onset of puberty. The 12th International Symposium on the Cells of the Hepatic Sinusoid 2004-09-05 - 2004-09-09 2004. McCourt, Peter Anthony; Smedsrød, Bård; Johansson, Staffan. Purification of the Rat Liver Endothelial Cell Hyaluronan Receptor, and its Potential Relationship to the Scavenger Receptor. Federation of European Connective Tissue Societies 26th Meeting 1998-08-26 - 1998-08-30 1998. McCourt, Peter Anthony. Purification of the Rat Liver Endothelial Cell Hyaluronan Receptor. The Keystone Symposium on Endothelium 1998-03-22 - 1998-03-28 1998. McCourt, Peter Anthony; Ek, Bo; Gustafson, Stefan. Purification of the rat liver endothelial cell hyaluronan receptor and its identity to ICAM-1. 20th Annual Lorne Protein Conference on Protein Structure and Function 1995-02-04 - 1995-02-09 1995. McCourt, Peter Anthony; Lilja, Kajsa; Gustafson, Stefan. Partial purification of the liver endothelial cell receptor for hyaluronan from whole rat liver. 14th Federation of European Connective Tissue Societies Meeting 1994-07-28 - 1994-08-02 1994. McCourt, Peter Anthony; Lilja, Kajsa; Gustafson, Stefan. The hyaluronan receptor on rat liver endothelial cells is not CD44. 22nd Federation of European Biochemical Societies Meeting 1993-07-04 - 1993-07-09 1993.